That’s the circuit on the breadboard. Need to wrap my head around how this thing works! I’m really excited to be in Physical Computing this semester. 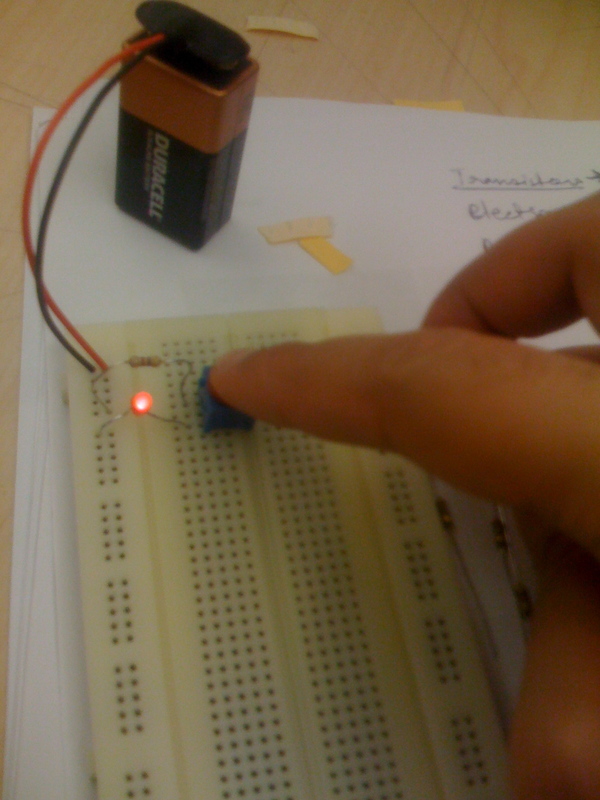 The course covers basic electronics and microchip programming. We’ll be programming PIC chips, later in the semester and building all kinds of cool things. Really looking forward to that! It brings back some vague memories of physics in college and is sure going to consume a lot of my time. 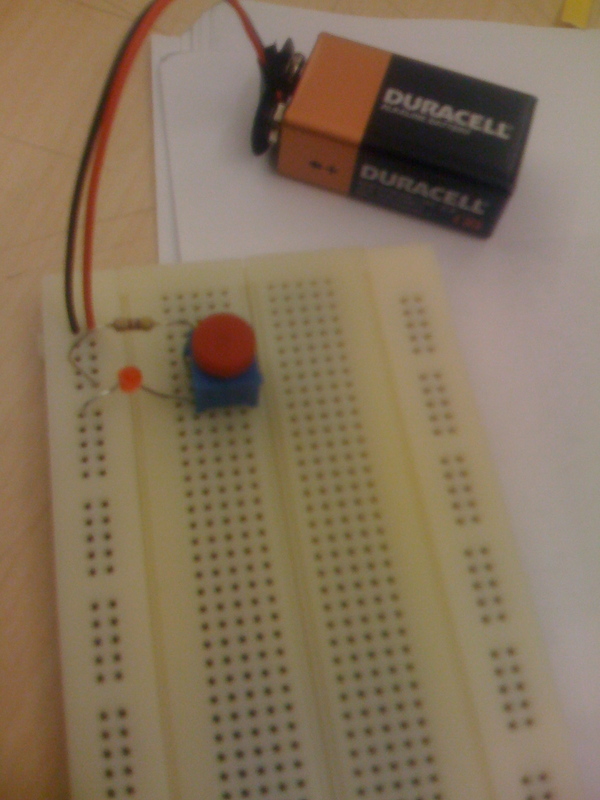 The first mini project was to build a circuit using a breadboard, a resistor, an LED, a switch and a 9V battery. It seems like I’ll be doing a lot more embedded systems programming this semester in Major Studio – Computation, where we’ll be using Arduino, IR sensors and more. Here are some pictures of my first circuit!